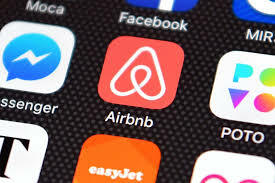 The use of Airbnb has become increasing popular for owners to rent out a room or a holiday home. For some people, it can be more valuable to rent out their property for, say, two or three nights a week instead of having long-term tenants paying rent. However there are tax and other consequences that owners need to be aware of. Any money received for renting a room or house will be income and tax will need to be paid. Of course costs incurred in earning that money may be deductible. Owners who also use the property during the year will be subject to the mixed-use asset rules, which prescribes an apportionment on expenditure incurred. Even if the mixed-use asset rules don’t apply, a reasonable method to apportion expenditure will still be required. Short-term stays is potentially subject to GST. If you are not registered and earn income from Airbnb then you need to be aware that you need to be registered if your income exceeds $60,000. Keep in mind that if you do have to register then the property has been brought into the GST net so you will have to pay GST on the sale. If you are already GST registered, you should be returning the rent when you file your GST returns. Lastly be aware that some local councils charge additional rates and require you to have resource consents. If you need any help clarifying your Airbnb tax position or thinking about starting Airbnb, please contact us as soon as possible.